Some movies just don’t seemingly want to get made, and it’s hard to not see World War Z 2 as a primary examples. Five years in the making, the long-gestating sequel to the original World War Z in 2013 has been through a handful of creative overseers, including multiple potential directors. David Fincher has now been attached to the Brad Pitt-produced project for a while, but today comes news of another delay, as filming has been pushed back again so Pitt will be able to star in Quentin Tarantino’s new film, Once Upon a Time in Hollywood. 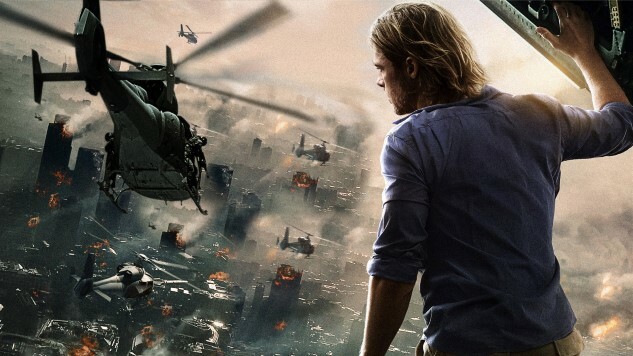 That pushes World War Z 2 filming back to the fall of 2018. Pitt is a producer on the World War Z sequel, which means it will probably happen eventually, if he still wants it to happen. It’s probably a little bit discouraging for Paramount to see the producer and star of the World War Z sequel push the movie back once again so he can pal around with Tarantino at Sony, but whatcha gonna do? At this point, if they ever actually get this movie out of Pitt and Fincher, they’ll be happy.